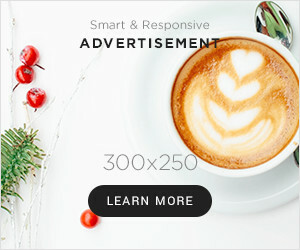 PHILISPBURG, St. Maarten – Now that the summer vacation is over, we need to inspire and encourage our children to learn, but to do that we need to give them the right tools. 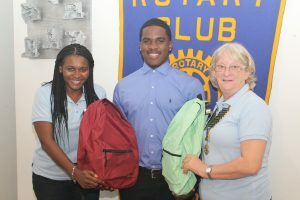 Hence when Ki-Mani Olivacce reached out to The Rotary Club of St. Maarten-Mid Isle to help students in need within the community, to equip them for the school year they were ready to help. Ki-Mani and his foundation ‘Voices of our Children’ have reached out to the community to come together to donate to a worthy cause of a ‘Back to School Drive’ for students in need. Ki-Mani is to be commended for taking the initiative three years ago to start this project. The Rotary Club of St. Maarten-Mid Isle heeded the call for the third year under the direction of Service Projects Director Grace Linger. This year we worked with the foundation ‘All about a Smile’, and other donors -Locally and abroad- to pack forty-eight school back packs for the less fortunate students in our community. This amounted to twenty-four back packs for elementary students, and twenty-four back packs for high school students with all the necessary items for the start of the new school year 2018-2019. The back packs consisted of markers, crayons, pens, pencils’, pencil cases, scientific calculators, rulers, erasers, folders, 3 ring binders, loose leaf paper, geometry sets etc. The backpacks were donated by Rotarian Jeff Jhangani and his foundation ‘All About a Smile’. A heart felt thank you goes out to the following persons, Jennifer Baker and Judy Sarvas, for donating school supplies, Don Patterson, for donating the calculators, and Robert Welch for financing the other items that were needed. The Rotary Club of St. Maarten-Mid Isle meets Tuesday at 7pm at Pineapple Pete in Simpson Bay. For more information please contact rotarysxm.mi@gmail.com or visit our face book page Rotary Club of St. Maarten-Mid Isle.